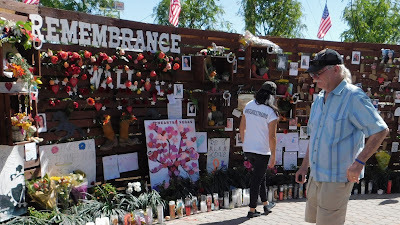 This is a post I never thought I would have the courage to write, but as the one year anniversary of the Las Vegas Route 91 mass shooting is approaching, I thought it was time. Quick Backstory: I work in a Children's Hospital within an adult hospital as a child life specialist in the pediatric emergency department. October 1st 2017, started out as a normal night in the emergency department, it was low census due to a strange annual lull in patients from the end of September to the second or third week in October. I remember, I was sitting at my station chatting with nurses and teaching a resident how to blow a big bubble, waiting on a doctor to do a laceration repair. The LET would be ready to go in about 10 minutes. 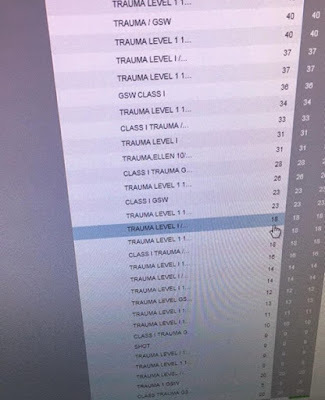 At 10:15pm the all hospital tele goes off..."mass casualty incident 10 gun shot wounds coming by ground, more to follow." Since the patients were headed to the adult side and not pediatric we all kind of ignored it for a few minutes. The doctor appeared around the corner and said, "Syd are you ready to go stitch this kid up?" I grabbed my iPad and light spinner and said, "Yes, lets go." As we approached the room the doctor said, "You know what, I'm going to just walk over to the other side to see if i can help. I'll be right back." As the doors opened to the adult side of the emergency department, I saw him take off running. Shortly after he left, our charge nurse and other nurses went over too. Shortly after that, an all call hospital page said, "Any available physicians to the Emergency Department Stat." About 10 minutes after that a new one said, "Any available nurse to the Emergency Department Stat." About 5 minutes after that another one said, "Anyone with hands to the Emergency Department stat"
At this point multiple stories had been thrown around, a shooter on the strip, a shooter at a concert, a shooter at the hockey game. We had yet to turn on the news. We did not know six miles away, a gunman had shot through his hotel windows and opened fire on 22,000 fans at the outdoor Route 91 Harvest Festival. We did not know we would see almost 200 patients—And we surely didn't know that fifty-eight people would die. Unlike a normal day, the wounded arrived in waves. and then the two-door sedans with as many they could hold. Ambulances that abandoned protocol, bringing five at once, no time for backboards or stretchers. The walking wounded, staggering through our hospital doors. No one could ever imagine this. We finally had the news on and knew there was a mass shooting at the Route 91 concert. On this particular night, several of my co-workers, friends and even my boyfriend were on the strip at the Vegas Knights Hockey game. Another one of my co-workers was at the concert. As the news of the shooting arrived, I began to frantically text them- hoping they were okay. They were on their way back to their cars while the shooting was happening. "just a few people we don't see anything." And then there were no texts for 10 minutes... the longest 10 minutes of my life..
About this time, the police showed up... this time with children who had been at the concert and gotten separated from whoever they were with. The kids ranged in ages from 5-12. The police had told the kids fireworks had gone off early and hurt some people. The younger kids believed this story while the older kids knew the truth. Instead of telling the kids the cops had lied to them, I had each one of them tell me their stories of what they saw. I corrected any misconceptions and validated everything. We talked, colored pictures and squished some play dough while waiting for their family members. After about an hour all the children had been returned to family members. It was such a great relief to see the families reconnect. and did whatever I could do to help anyone in need. I started in our waiting room which was now full of friends, family members, and other concert goers looking for their loved ones that were hurt. I brought warm blankets, water, Kleenex, shirts, baby wipes, band aids, gauze and crackers to these people. I sat with them, hugged them, cleaned them, prayed with them... everything I could think of to make them more comfortable... and it just didn't seem like enough. I looked around the room. Desperate to continue helping in this crisis. 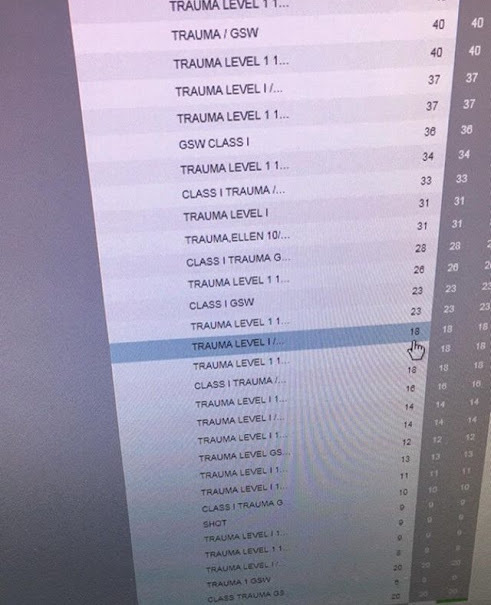 I realized one of our nurses was sitting at the triage window. She was being bombarded by family members wanting updates and locations. The social workers were working as hard as they could to pair everyone back up, but it is a huge undertaking. Our hospital saw almost 200 victims that night. The nurse and I started our own check-in list to compare with the social workers so we could make sure every one was accounted for. Throughout the night, our pediatric Emergency Department shortly became an adult Emergency Department. I handed out stress balls, and even talked a few adults through wound cleansing and IV starts. directing family members to different parts of the hospital, and so many just people wanting to help. I stayed till 6am the next day. I'll always remember how quiet Las Vegas seemed that morning. During the next week the Child life Disaster Relief team came to Las Vegas. My coworker and I helped them get some toys and any other items they might need to help the kiddos. my entire body just becomes covered in goosebumps, and the memories start flashing back. The images of that night are still crystal clear. The guilt remains for not being able to do more and for being afraid. I remember the outpouring of love, from other hospitals, from other child life specialists, from the community, from my coworkers. For as much pain, grief and suffering I witnessed, I saw even more love, selflessness, and appreciation for one another. There are some truly amazing people in this world and I'm lucky to work with some of them. Tonight, on the eve of the anniversary, I visited the Las Vegas Sign, which is turned into a memorial. I read about each of the 58 victims. I feel ready for tomorrow. 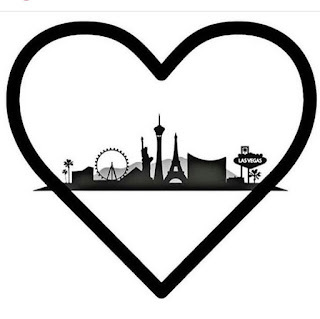 I am Vegas Strong and always will be. and heal and find my own way back.